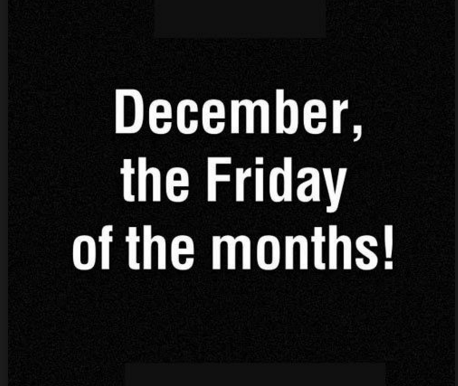 The last month of the year is finally here! I was re-reading my New Year’s post from January and the only New Year’s Resolution was “take it to the next level.” I think that goal has been achieved 100x over. It’s been an insane year (I mean how many life changes can you go through in one year in addition to doing a marathon, a triathlon and 5 half-marathons). Also it’s been a crazy past month, given the life decisions I made in November. That being said, December is going to be a little nuts. The end of my semester/last final of the semester/last final as an evening law student is in 13 days. The last time I get to go in front of Social Security judges EVER is 14 days. The last day of my job is in 30 days. I should also start training for the Miami Half-marathon this month too. Oh yea, there’s Christmas and New Year’s too. I was reading this article from Women’s Running on the weird things runners do to get through the final mile. When s*** hits the fan during a race or in life, I always think of what I get to reward myself with afterwards. During a race, it’s always what my post-race brunch meal will be. I think you should live in the moment and be fully present, blah blah blah…but when it’s really miserable, thinking about the post-race or post-finals feeling, is really the only way to get through it. As for getting through finals, it’s a combination of good food, workouts and actually seeing people. I spent most of this past weekend including today (on my day off from work) in the library. I honestly study best locked up in a room for hours with no wifi or cell service. Except that method of studying will drive you crazy. But I’m so looking forward to winter break – family, friends, the holidays, the parties. I’m also looking forward to working out with all my workout buddies again (and more than 1x a week). I don’t have much time to travel this month (but also flights are so expensive). I am looking forward to January’s field trips to LA to visit a friend and a trip to Miami for the half-marathon. Various work environments want teamwork but the employees work separately. Employees working jobs like these really need activities and corporate events NYC to help them stay related with other workers.